On January 20, 2016 at approximately 11:00 AM, Officers of the Kingsport Police Department were notified of an active warrant for Amid K. Tatchi for Violation of Probation. Mr. Tatchi was initially on probation as a result of a 2014 arrest for the charges of Criminal Simulation and Introduction of Contraband into a Penal Facility. At approximately 2:00 PM, Mr. Tatchi arrived at the Kingsport Justice Center, located at 200 Shelby Street, to meet with a Probation Officer. He was promptly taken into custody without incident on the outstanding warrant and incarcerated in the Kingsport City Jail. He is currently being held with no eligibility for bond. Mr. Tatchi’s most recent apprehension comes just four days following his arrest after accosting the family of a Kingsport Police Officer. That incident was the catalyst that spurred the violation of his probation. On January 16, 2016 at approximately 2:30 PM, a Kingsport Police Patrol Officer/K-9 Handler was stopped in the parking lot of East Stone Commons Shopping Center, located at 2003 North Eastman Road in Kingsport. The officer was on duty, in uniform, in a marked police cruiser. He had pulled alongside another vehicle occupied by his family to have a brief conversation. Without warning, in a sudden and unprovoked attack, a black male suspect, later identified as Amid K. Tatchi, approached on foot and began slapping the passenger-side window of the family’s vehicle, frightening and upsetting the officer’s seven year old child who was seated there. The officer instructed his family to lock their doors and drive away and stepped out of his cruiser. Mr. Tatchi began walking briskly away. The officer got back in his cruiser and caught up to him and stepped out again, ordering him to stop. Mr. Tatchi shouted profanity laced expletives at the officer and began showing signs of aggression, so the officer summoned K-9 Roi to his side. When Mr. Tatchi saw the dog, he shouted, “Go ahead and let that thing go, and I will (expletive deleted) kill it, you little (expletive deleted)”. Mr. Tatchi was wearing an Olive Garden employee t-shirt. He ignored the officer’s commands to stop, and shouted “(Expletive deleted) you, I’m going back to work”. He then ran toward the front door of the nearby Olive Garden Restaurant, located at 1919 North Eastman Road, where he was employed and went inside. The officer chose not to immediately pursue him into the restaurant due to the presence of the police dog. As back-up officers arrived, Mr. Tatchi returned to the entrance. He was repeatedly instructed to step outside and place his hands behind his back; however, he continued to shout profanity in the presence of customers and refused to comply. The officers were eventually able to place him under arrest without creating a further incident. 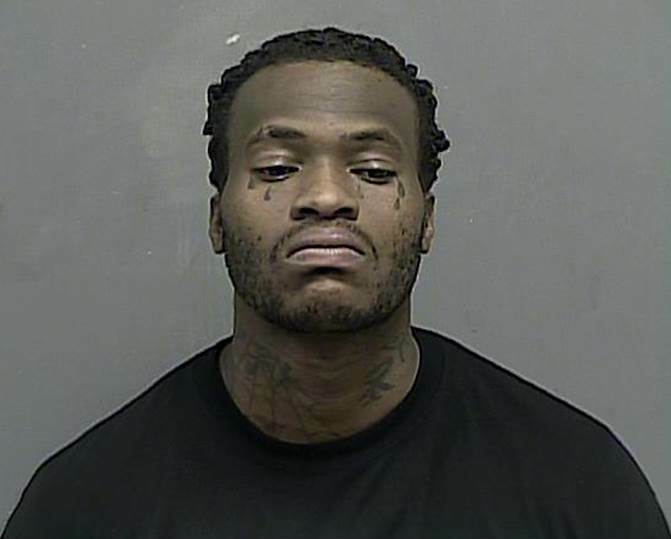 He was charged with Disorderly Conduct and Resisting a Stop, Frisk, or Halt and transported to the Kingsport City Jail. Once at the jail, he continued to be uncooperative, refused to provide his name, and resisted being photographed or fingerprinted. He initially had to be booked under the alias of “John Doe”. After approximately a four hour delay, he eventually cooperated with the Corrections Officers and was booked and processed under his actual name. He was later released on bail after posting a $750 bond as set by the presiding Magistrate. Kingsport Police personnel have been in communication with the local management of Olive Garden as well as the Director of Corporate Security for Darden Restaurants (the parent company of Olive Garden) in an effort to bring the facts of this matter to their attention in hopes of an appropriate response to the matter. The Director of Corporate Security has requested a copy of the K.P.D. incident report and has advised Kingsport Police that he has launched an internal investigation into Mr. Tatchi’s behavior.